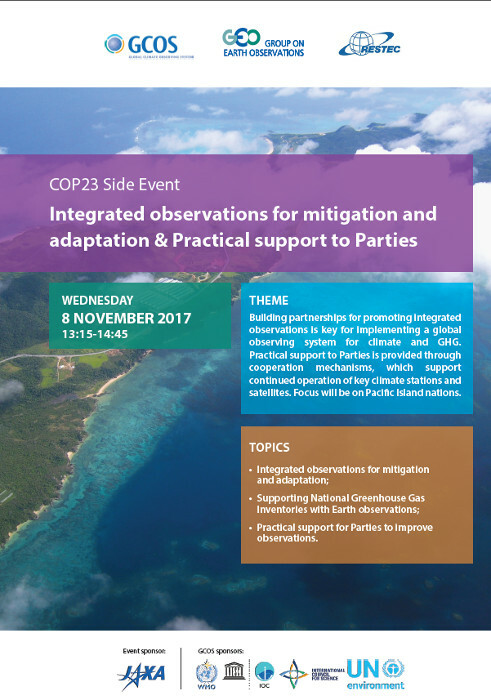 Earth observations support effective policy and decision making for climate change mitigation and adaptation. 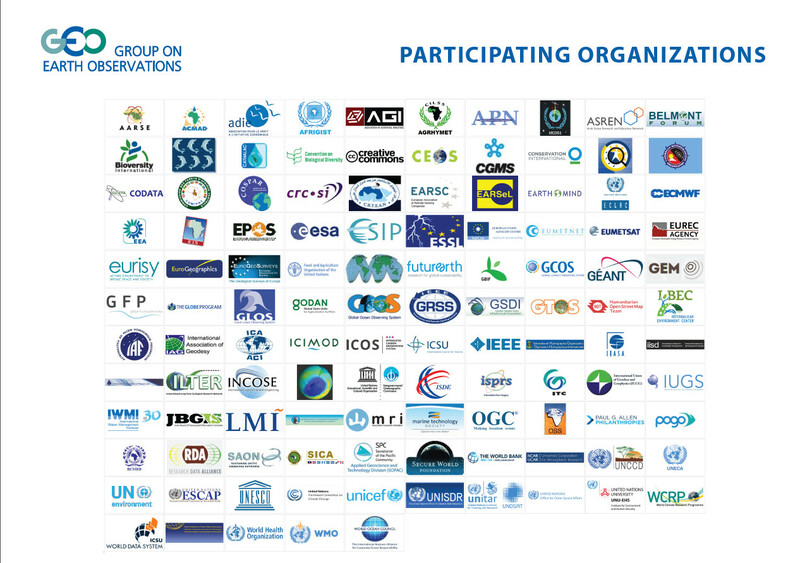 GEO is working to enhance global observations systems in support of the Paris Agreement. Through the work of its partners, GFOI supports REDD+ countries to develop their national forest monitoring systems and associated emissions measurement, reporting and verification (MRV) procedures. 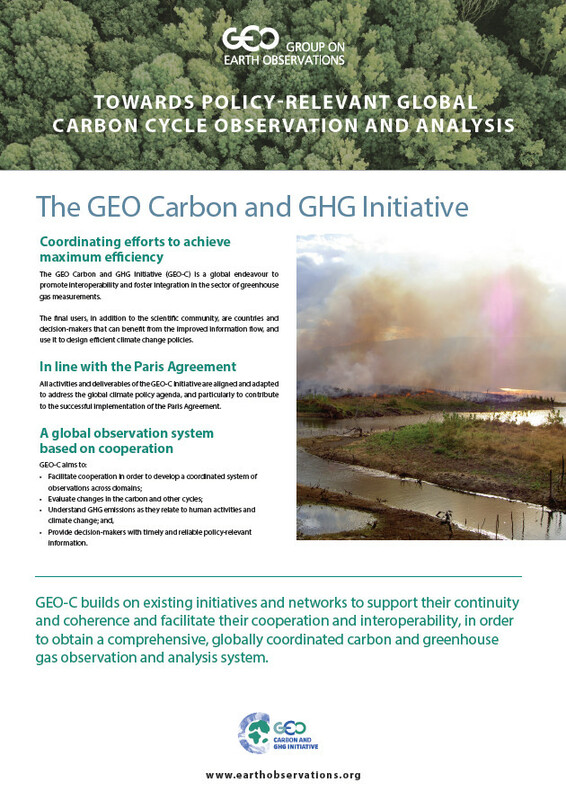 The GEO Carbon and GHG Initiative (GEO-C) is a global endeavour to promote interoperability and foster integration in the sector of greenhouse gas measurements. 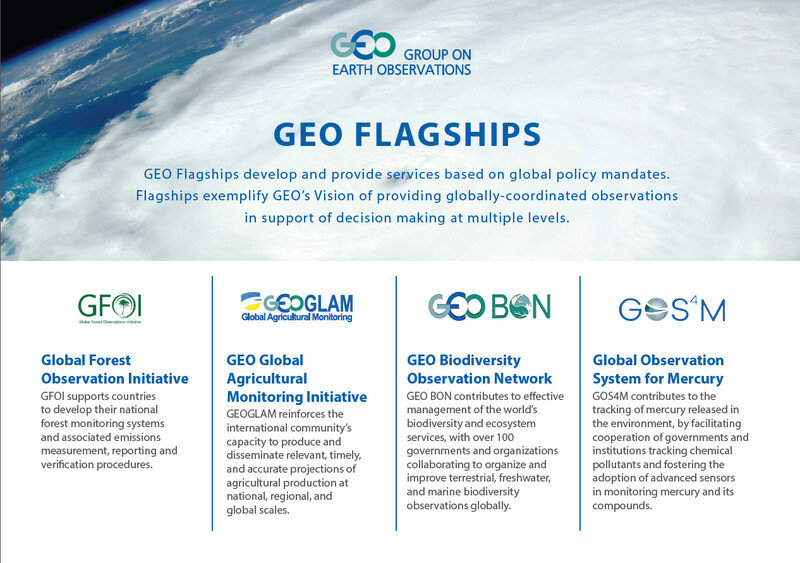 GEO-C builds on existing initiatives and networks to support their continuity and coherence and facilitate their cooperation and interoperability, in order to obtain a comprehensive, globally coordinated carbon and greenhouse gas observation and analysis system. GEO CRI provides coordinated Earth observations and information services across a range of stakeholders to facilitate well-informed decisions and support the sustainable development of the cold regions globally. The GEOCRI mission is to develop a user-driven approach for Cold Regions information services to complement the science-driven efforts, which will strengthen synergies between the environmental, climate, and cryosphere research efforts, and foster the collaboration for improved Earth observations and information on a global scale. 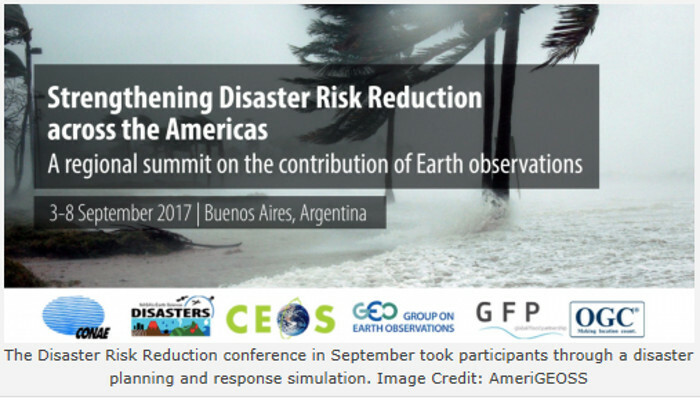 GEO-DARMA works to address critical issues related to Disaster Risk through a series of end-to-end projects that rely on the use of multiple sources of observation data, in response to needs of the end-user communities. The purpose of the Global Drought Information System (GDIS) is to assist in ensuring the sustainability of the global water supply and to carry out global monitoring of the variability of water as it relates to drought and water scarcity. While considerable effort has been expended at the national level on drought monitoring and mitigation, the scientific community united together to form GDIS, to address the lack of attention that was being given to drought at the global scale (or the regional/continental scale), including assessing how changing climate at the global level would affect drought. GEOGLOWS is working to provide a coordination framework for all water initiatives under GEO. This Initiative is intended to facilitate the use of Earth observation assets to contribute to mitigating water shortages, excesses and degraded quality arising from population growth, climate change and industrial development. GEO Vision for Energy (GEO-VENER) works to improve the availability and long-term acquisition of data from satellite and in-situ instruments and models to make possible the effective deployment, operation and maintenance of renewable energy systems and their integration in the grid. 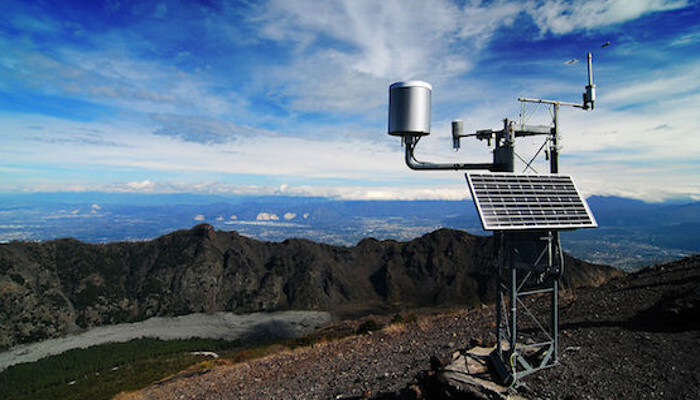 CAMS supports policymakers, business and citizens with enhanced atmospheric environmental information. The Copernicus Climate Change Service (C3S) is still in the development phase and will combine observations of the climate system with the latest science to develop authoritative, quality-assured information about the past, current and future states of the climate in Europe and worldwide. The Global Flood Awareness System (GloFAS) couples state-of-the art weather forecasts with a hydrological model, and with its continental scale set-up it provides downstream countries with information on upstream river conditions as well as continental and global overviews. 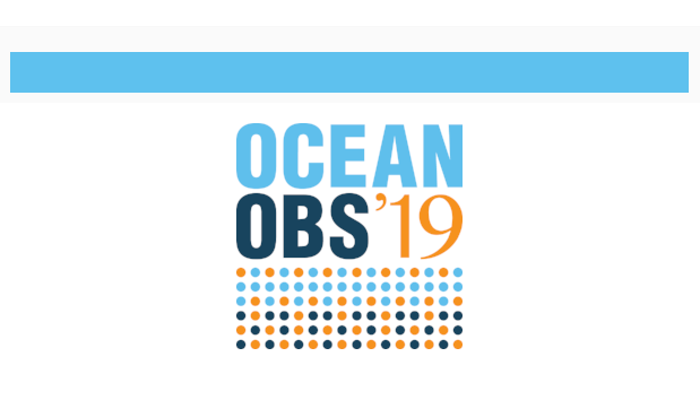 Blue Planet’s mission is to advance and exploit synergies among the many observational programmes devoted to ocean and coastal waters; to improve engagement with a variety of users for enhancing the timeliness, quality and range of services delivered; and to raise awareness of the societal benefits of ocean observations at the public and policy levels. The GEO-Wetlands initiative is a community driven effort with the goal of supporting global and national stakeholders with regards to mapping, monitoring, inventorying and assessing wetland ecosystems through the use of EO technology. As many wetland types (e.g. mangroves, peatlands) play a crucial role in the global carbon cycle, their better understanding can improve sustainable management of these sensitive ecosystems and help to maintain and increase their impact as global carbon sinks. Most Sustainable Development Goals (SDGs) are linked to climate policy. GEO works with the UN Committee of Experts on Global Geospatial Information Management (UN-GGIM) by participating in Working Group on Geospatial Information (under the auspices of the Inter Agency Expert Group on Indicators) as a contributor to Earth observations for the SDGs and promoting geospatial data use in statistical processes. 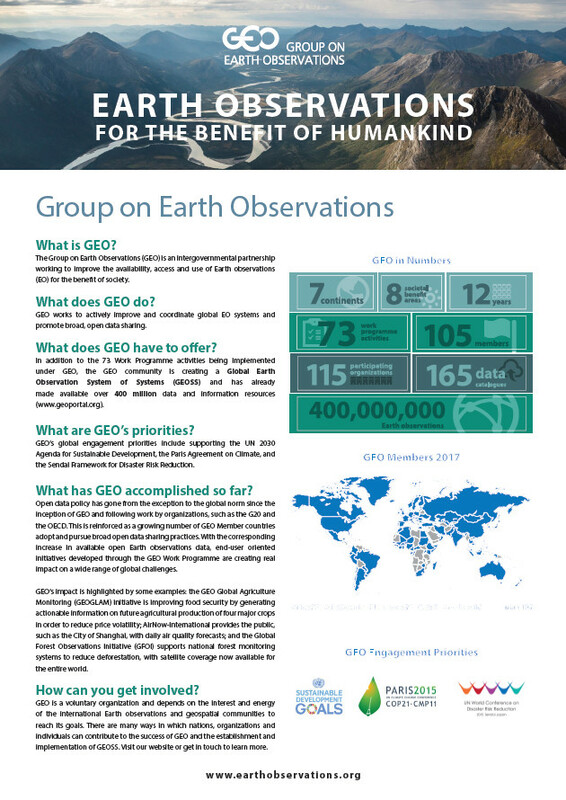 GEO is creating a Global Earth Observation System of Systems (GEOSS) to better integrate observing systems and share data by connecting existing infrastructures using common standards. 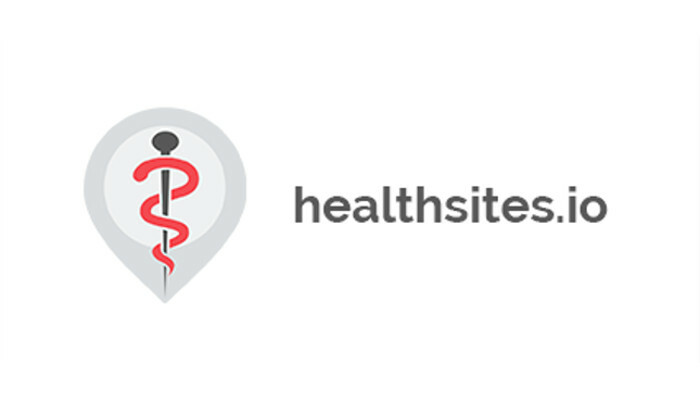 The GEOSS Common Infrastructure (GCI) currently links more than 150 different data catalogs from more than 5000 data providers containing more than 400 million open EO data and information resources, accessible through the GEOSS Portal (www.geoportal.org). 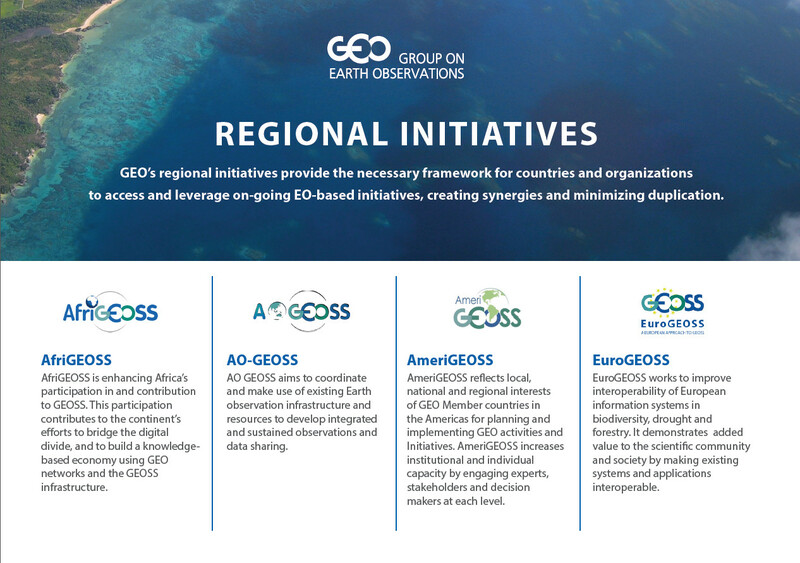 GEO is building Regional Initiatives, such as AfriGEOSS (in Africa), AmeriGEOSS (in the Americas), AOGEOSS (in Asia-Oceania) and EuroGEOSS (in Europe) that provide cooperation frameworks at the regional level based on the global principles of GEOSS to support decision-making and regional sustainable development. Click here for coverage and photos from this event from IISD. 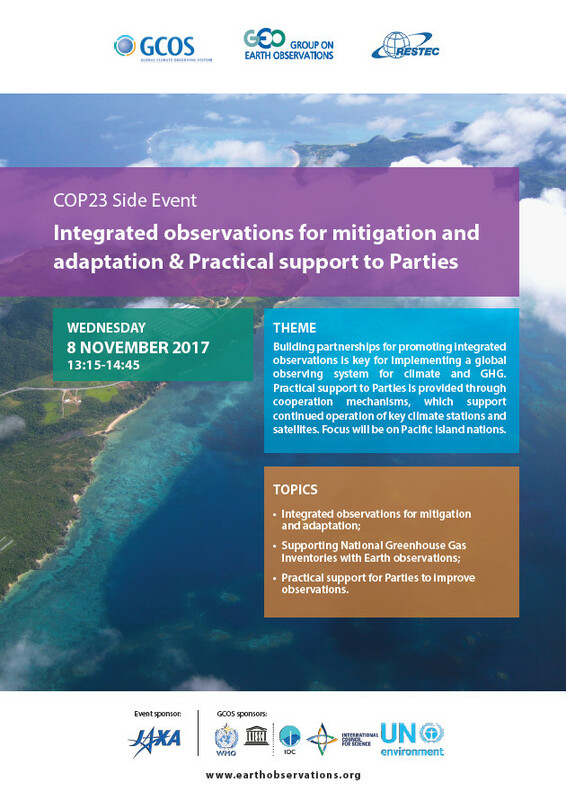 With a focus on Pacific Island Nations, this side explored the integrated observations for mitigation and adaptation; supporting National Greenhouse Gas Inventories with Earth observations; and practical support for Parties to improve observations. To achieve the Paris goals requires next generation decentralised governance systems for scale-up, efficiency and transparency. Learn from pilot application showcases that integrate blockchain, “Standards 2.0”, and the launch of the Climate Vulnerability Reduction Credit (VRCtm) Standard Framework. 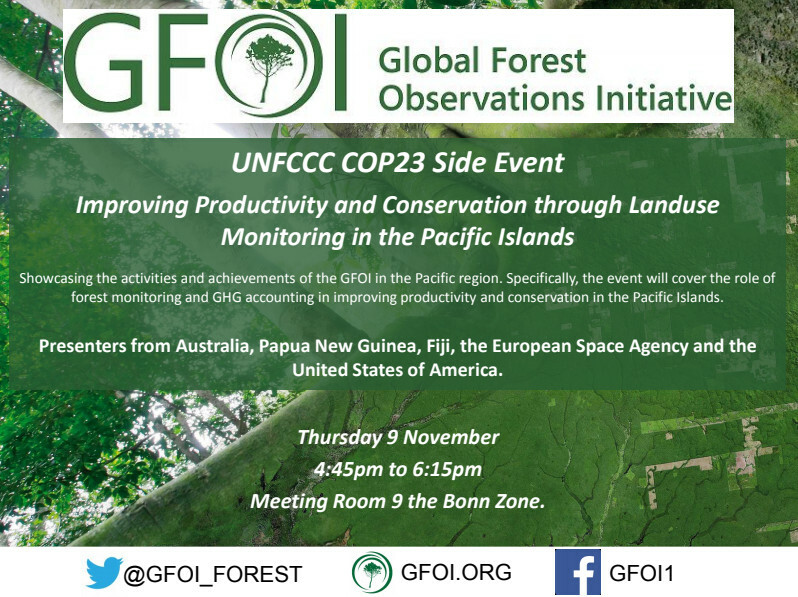 The side event showcased the activities and achievements of the GFOI in the Pacific. The event included presentations from Pacific Island country participants on the GFOI REDD compass platform (www.gfoi.org/reddcompass), ESA presentations on landuse monitoring programs in the region and panel discussions with GFOI lead partner representatives from Australia, the USA and ESA and REDDcompass course participants, on how the GFOI is making a global contribution to land sector climate change mitigation and sustainable land management. 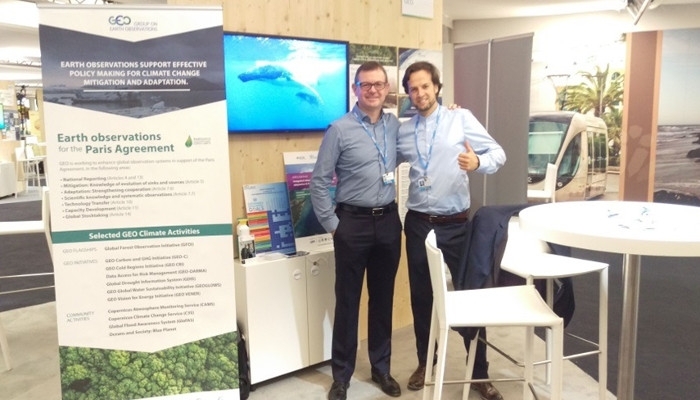 The GEO Exhibit at COP23 from 6-17 November 2017 showcased efforts from the GEO community to use Earth observations in support of the Paris Agreement.